My mom gave me this mug a few years ago while I was working on a manuscript called Paint Chips. At the time, I doubted the novel would ever find a publisher, let alone an audience. Still, I wrote. And wrote. And wrote. I wrote my story. The one on my heart. I knew very little about novel structure and plot arcs and passive verbs. I wrote out of shear passion. When it was done, I needed to start work on my second novel. I felt paralyzed. This time I knew more about how a novel should be written. How I should format everything. I’d gotten a few reviews that stuck in my head. Some were too flattering. Others hurt. There were months when I’d sit down to write and I’d hear the reviews. What they’d said spiraled into negativity. For the good ones, I’d think about how one day they would realize what a fraud I am. That I can’t write. That they were just being nice. As for the less than good reviews, I heard the negative things they’d said. Not that anyone was mean. Not at all. But the “cons” or what they didn’t like about the book spun around and around in my head. I’d write a sentence. Stop. Read it. Agonize over how bad it was. How that reviewer would grill me for how awful I’d done. Beat myself up for even attempting to write. I just about gave up. Quit the story. Tossed it in the trash. Then, one day, I pulled my mug out of the cupboard and filled it with coffee. What went right with Paint Chips was that I allowed the passion to flow. Who cares if somebody didn’t like the story or my writing? I needed to stop caring. I had a story to write. So, I wrote my own story. A story that had been bursting from within. 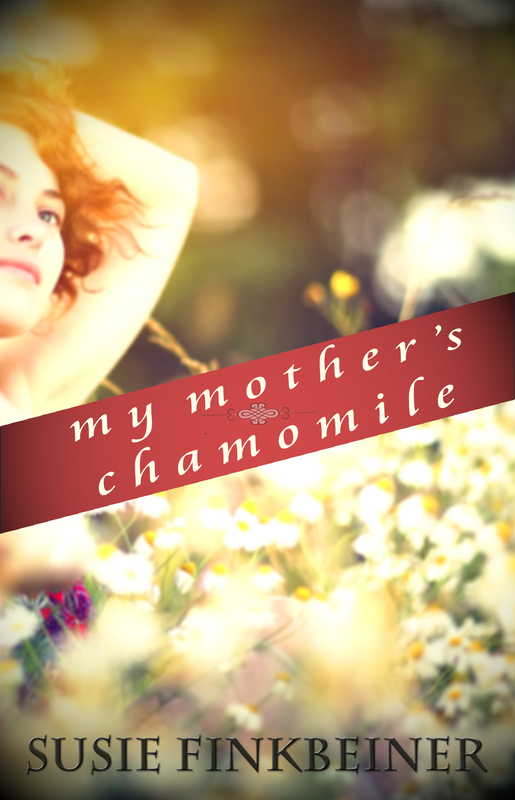 Let me tell you, My Mother’s Chamomile is from my heart. If people don’t like it, okay. If they think I’m a hack writer, all right. I’ll survive. But it’s the story I had to write. And I did. I can’t be more pleased that I let it out. Tell me, do you have a story to tell? What keeps you from doing it? 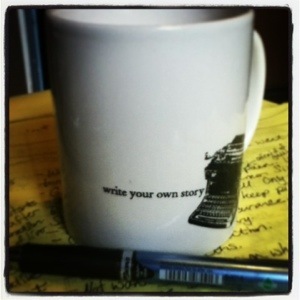 Or, if not a story, do you have a passion that you’d like to let out? I love hearing from you! I don’t know why there is so much fear when I sit down to write. I feel like I’m a kid pretending to be a grownup and it’s rather hard to get over. So glad to have a friend that was able to “get over” those feelings. I still have the fear. But I’ve learned to pray for help. Also, I’ve got a really amazing community that assures me that the anxiety is normal…but they don’t let me use it as an excuse. Keep at it, Jess. Love you. I’m definitely feeling that. I think once you’re finally in print, you just have this whole new standard (people read my book! They want to read another one!) and, as you said, you’ve been edited, so that can hang up the creative process. I think the key is pushing ahead and sticking with it, like you did with Paint Chips. I’m sure My Mother’s Chamomile will be another fave of mine, as well. Yes! I had far more anxiety with My Mother’s Chamomile. Far more. It’s just another phase in the writing life. But pushing through is essential. I had to start recognizing the negativity as something I was creating. That the “not-stellar” reviews weren’t mean or out of a heart that hated me. They were honest about how they felt. It was my neurotic brain warping things. I felt extremely attacked during the writing of this book. I hear you! I think that’s why we authors need to hold each other up in prayer, esp. when we know the topics we’re covering or the characters we’re dealing with need to be presented the right way. I can hardly wait to read it. I can relate. My first book is the story in my heart and will be out this spring. I am starting another and feel overwhelmed yet happy. Thank you so much, Roxanne! And congratulations on your upcoming release. I wish you the very best! Sometimes it takes me three hours to write a sentence. It’s hell, and I wonder why I agonise so much over words. The next day, however, when I read it over, that sentence was worth the agony. Writing is like that. Sheer plod. And you just have to keep going, because no one can write your story but you.